Looking for luxury apartments for rent in Tampa, FL? Jefferson Westshore offers one, two, and three bedroom apartments equipped with everything you need for modern living. 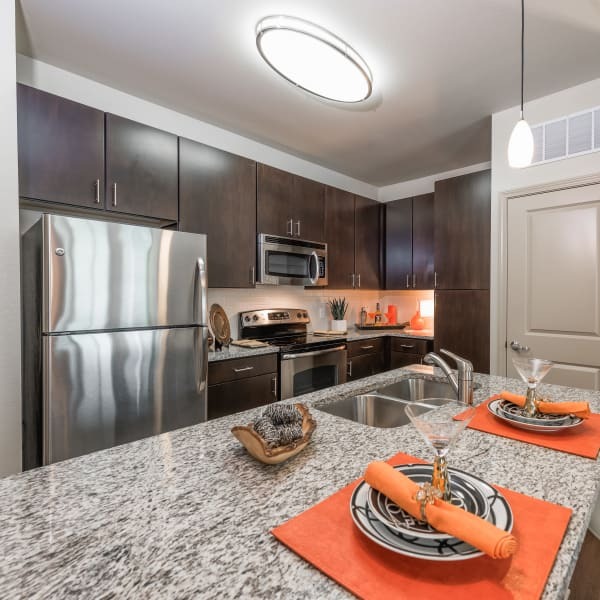 Our upscale apartment homes offer contemporary finishes including sleek stainless steel appliances, granite countertops, gleaming wood-style flooring, and walk-in closets. Want more? Step out to your private patio or balcony to take in the scenic pool or lush courtyard views. Modern living means having the space you need and the style you crave. Enjoy an array of deluxe community amenities perfect for whether it’s time to unwind from the day or kicking it into high gear. Whether the moment calls for relaxing by the fire pit in the outdoor living room, or playing with your four-legged best friend in the on-site dog park, there is something for everyone. 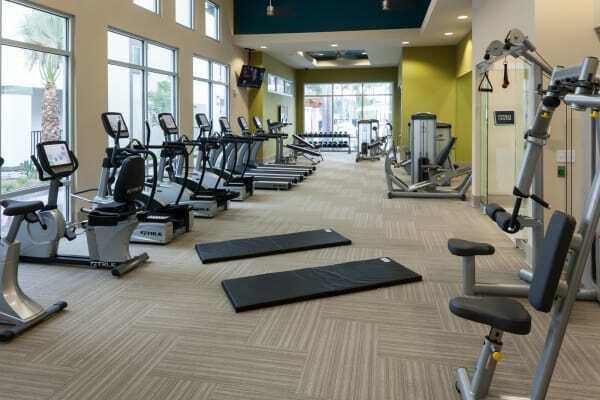 Squeeze in a workout at the state-of-the-art fitness center, take in the scenery in the resort-inspired courtyards, or lounge by the eco-friendly saltwater swimming pool and soak in the Florida sunshine. 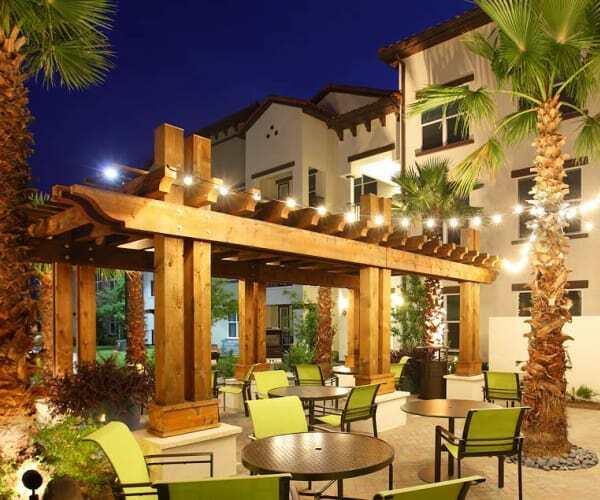 Enjoy outdoor living at its finest at Jefferson Westshore. Sculptures and art pieces throughout the community bring inspiration to your day. Created by local artists, this commissioned art is all made with materials from the original Tiffany Tile Company, which called this site home prior to development. Would you like to see our upscale apartments and deluxe amenities in person? Get in touch with our team and schedule a visit of Jefferson Westshore today.